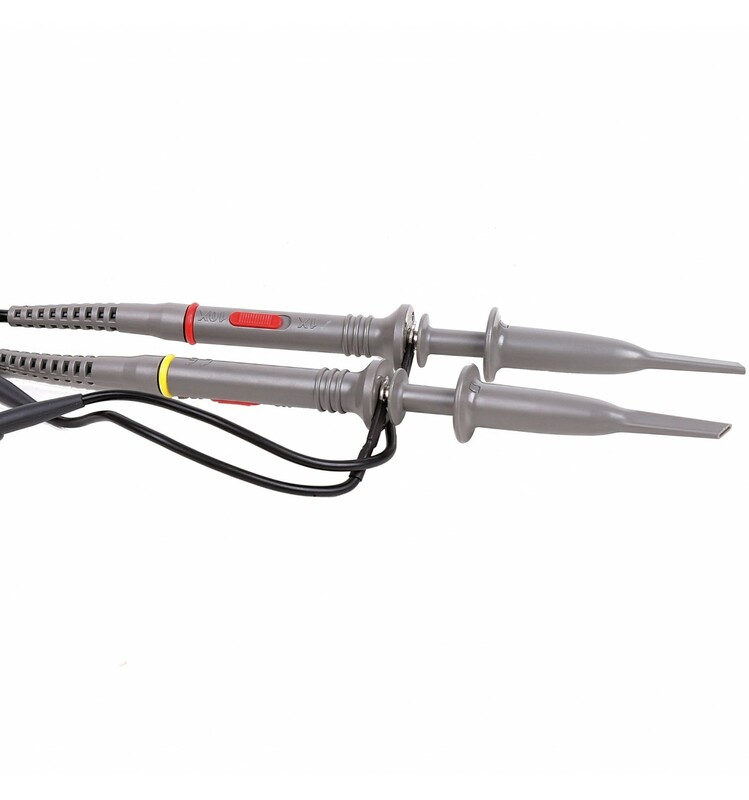 This two Oscilloscope Probe set P6100 is stocked as a replacement part and is designed to fit most standard oscilloscopes, including our DSO Nano Pocket Oscilloscope. 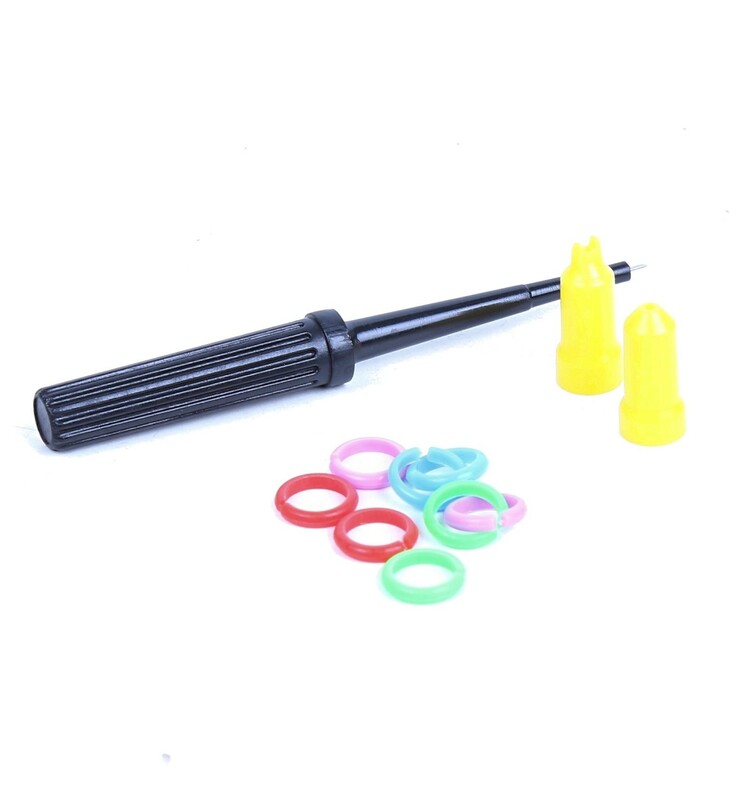 It has a 1x/10x switch to attenuate waveforms and signals, a detachable insulated hook to easily grab pins or points, and an insulated crocodile clip to act as the ground. 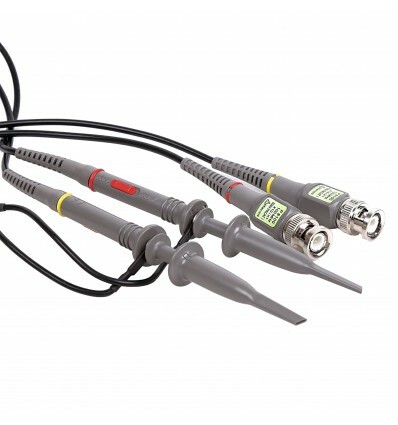 This probe is capable of operating at up to 100MHz, which is suitable for most applications both in the workshop and out in the field, and the detachable hook makes it surprisingly versatile as well. Beneath the detachable hook is a pin, for times when you want to check a shared lane on a breadboard or need to test the inside of a female socket. 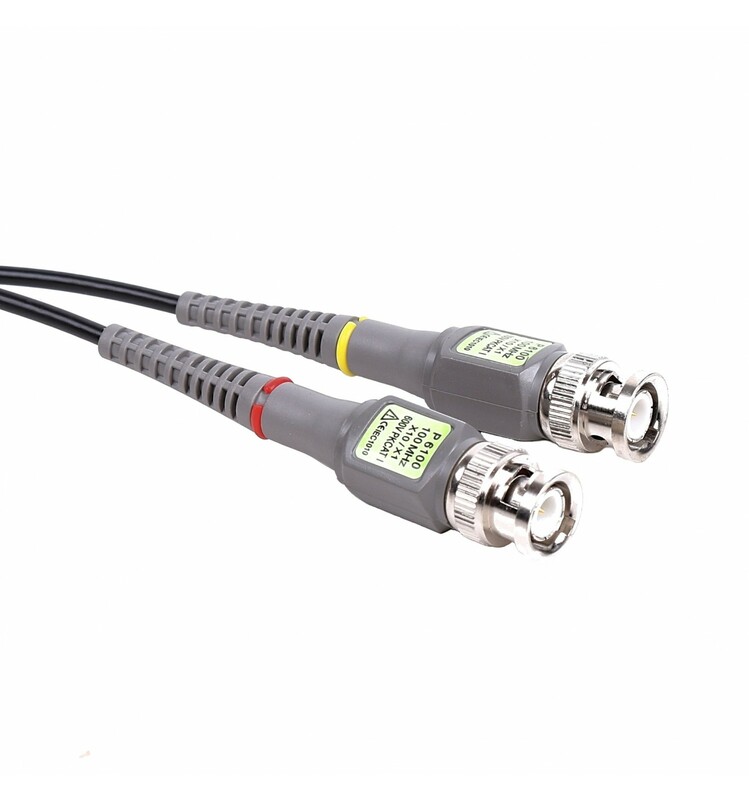 This, in combination with the 1x/10x switch, allows you to test and measure a wide range of circuits and components with precision accuracy – regardless of whether you have access to a full-scale oscilloscope or not. 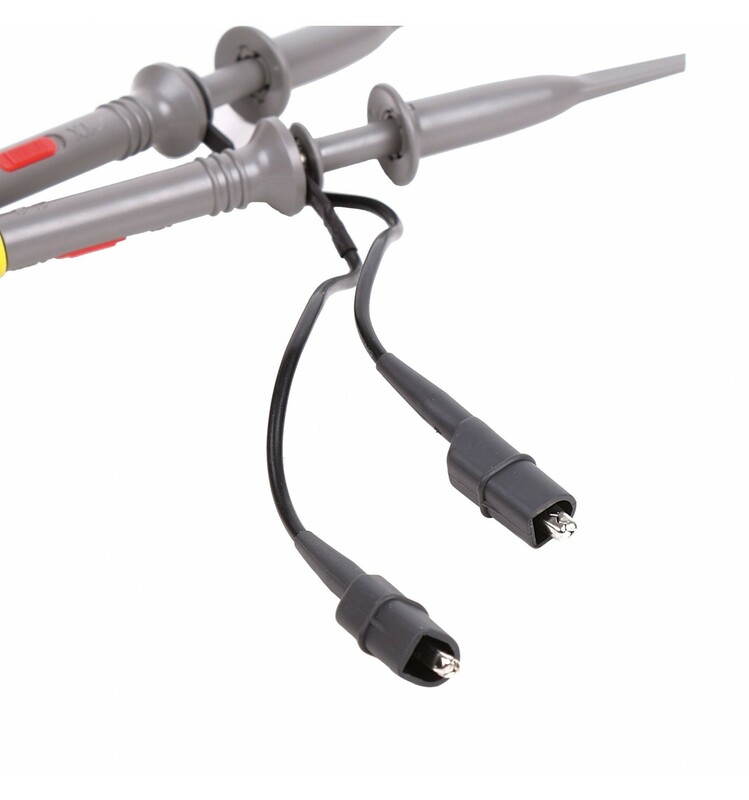 Although oscilloscopes tend to vary in features and functionality, the Oscilloscope Probes are all relatively similar. This probe, however, has a few extra features to add convenience to the typical process of waveform and signal testing. Both the detachable hook and the ground clip have good insulation to avoid short circuits and bad readings, while the 1x/10x switch is easily locatable on the side for smaller amplitude waves as well. And while these features may not sound like much to a novice or beginner electronic engineer, our first-hand experience out in the field and in the workshop has shown us that small features like these can make the job substantially easier, quicker and more convenient.